Wooden sticks, pieces of felt, tape strips, table-tennis balls – with great inventiveness and various everyday objects, the successful pianist and composer Volker Bertelmann alias Hauschka creates an unexpected world of sounds with the piano. The resulting percussive or rustling sounds, which make one assume the usage of drums and electronic devices, give the atmospherically dense, rhythm-based compositions of the Düsseldorf-based musician a lyrical quality. After our two celebrated nights with the dancer Edivaldo Ernesto from the company of Sasha Waltz, Hauschka returns to the stage of UM:LAUT in March in order to present his new solo album „Abandoned City“ for the first time. We are very much looking forward to another one of his unique performances – apart from the grand piano being transformed into a laboratory of sound, Hauschka’s „ensemble“ is extended by two programmable player pianos for this special night at Radialsystem. On top of that we are happy to add another dimension and premiere the „Abandoned City“ live visuals by the great people of Warped Type! For „Abandoned City“, which will be released by the great label City Slang in March, he has drawn inspiration from ghost towns – around 2,500 of such abandoned places exist world-wide. It is the images and stories of these deserted settlements, in which the pianist has discovered moods which he knows from the process of concentrated artistic creativitiy. „Beauty, transitoriness, melancholy, and absurdity – in the abandoned places already reclaimed by nature, I encounter a metaphor for what happens inside of me.“ After experimenting with beats and almost danceable rhythms on his last album, his new work both draws lines back to his earlier releases and explores new territory in the deeper layers of his sound creations. Hauschka, who has recently recorded an album with the exceptional American violinist Hilary Hahn, composed music for Döris Dörrie’s film „Glück“ and launched a new live project with the renowned Techno-DJ Henrik Schwarz in Amsterdam, is regarded as one of the most remarkable modern proponents of the prepared piano. 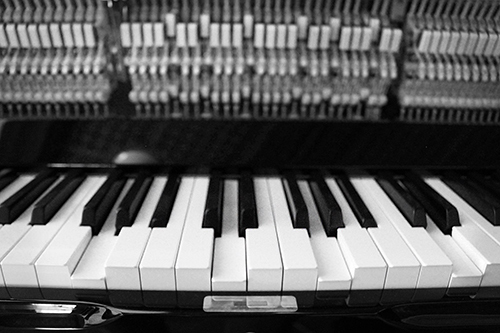 With relatively simple means, he explores the tonal diversity of the keyboard instrument with metal pieces, foils and other objects placed inside the piano or attached to the strings. Since his initial solo improvisations, the classically trained pianist has continually developed, recording some of his fourteen albums with other musicians as well as integrating electronic elements in his works. 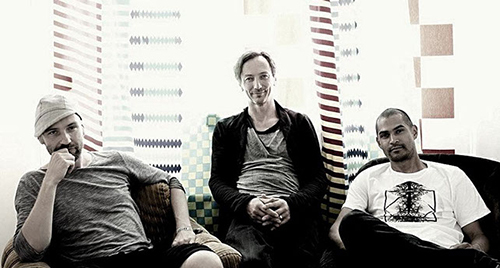 Meanwhile, Hauschka is mentioned alongside composers such as Eric Satie or John Cage as well as contemporary musicians like Max Richter, Yann Tiersen or Nils Frahm. It is difficult to categorise Hauschka’s music as it moves between sound art and experimental, modern classical and chamber music, electronica and pop, with his last solo album broadening his spectrum to minimal techno and house. 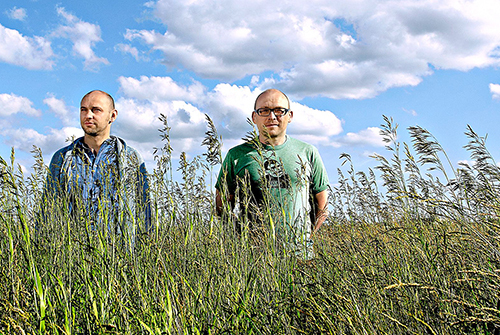 In March 2014 his new record „Abandoned City“ will be released by the great City Slang label. Another unique UM:LAUT experience to come – we are very proud to host Hauschka’s record release concert and hope to welcome you for a great night at Radialsystem! We are very happy and proud to present two special events in the series of UM:LAUT bringing together two of our favourite artists in Berlin: The internationally acclaimed pianist and composer Volker Bertelmann alias Hauschka meets the young Mozambican dancer Edivaldo Ernesto from the company of Sasha Waltz & Guests. In two nights, the two of them abandon the safety of composition and choreography, joining each other in an improvised interplay of sound and movement, entering an artistic dialogue without the corset of a predetermined course, open for unexpected developments, spontaneity and the impulses of each other. An encounter of two unique artists that can be experienced exclusively in the series of UM:LAUT on 17 and 18 August at Radialsystem! 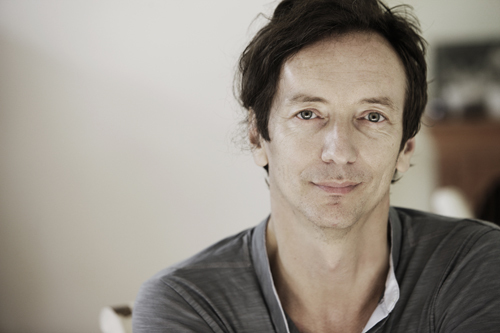 Hauschka, who has recently recorded an album with the exceptional American violinist Hilary Hahn and composed music for the theatre installation „Puppen“ at the Düsseldorf Schauspielhaus and Döris Dörrie’s film „Glück“, is regarded as one of the most remarkable modern proponents of the prepared piano. With relatively simple means, he explores the tonal diversity of the keyboard instrument with metal pieces, foils and other objects placed inside the piano or attached to the strings. The resulting percussive or rustling sounds, which make one assume the usage of percussions and electronic devices, give the atmospherically dense, rhythm-based compositions a lyrical quality. 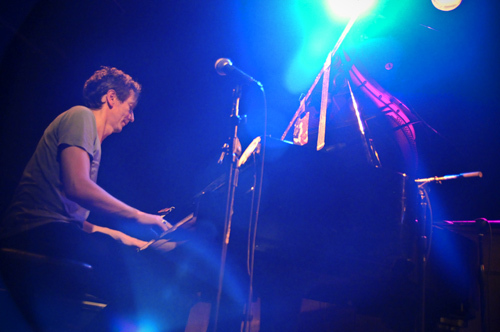 Since his initial solo improvisations, the classically trained pianist has continually developed, recording some of his fourteen albums with other musicians as well as integrating electronic elements in his works. 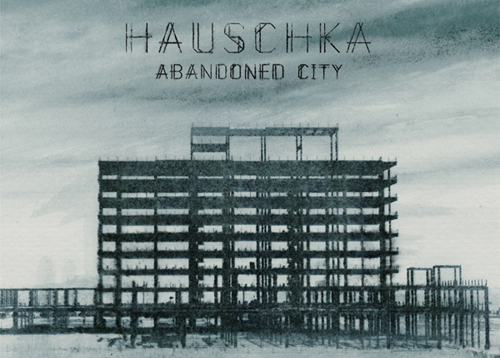 Meanwhile, Hauschka is mentioned alongside composers such as Eric Satie or John Cage as well as contemporary musicians like Max Richter, Yann Tiersen or Nils Frahm. It’s difficult to categorise Hauschka’s music as it moves between sound art and experimental, modern classical and chamber music, electronica and pop, with his last solo album broadening his spectrum to minimal techno and house. We never missed his great performances in Berlin in the last couple of years, and we are very pleased to get the chance to work him. 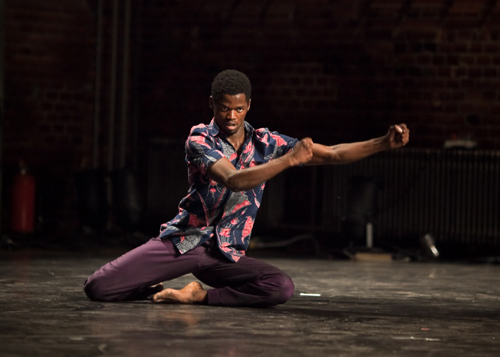 Edivaldo Ernesto has collaborated with numerous artists and choreographers like David Zambrano, Mat Voorter, Robert Hilton, or Faustin Linyekula after having received traditional and classical dance trainings in Mozambique. Sasha Waltz engaged him for the first time for her project „Dialoge Freiburg“ at e-Werk Freiburg in 2005. Since 2008 a constant member of the ensemble of Sasha Waltz & Guests, Edivaldo can be experienced in numerous productions of the company worldwide. 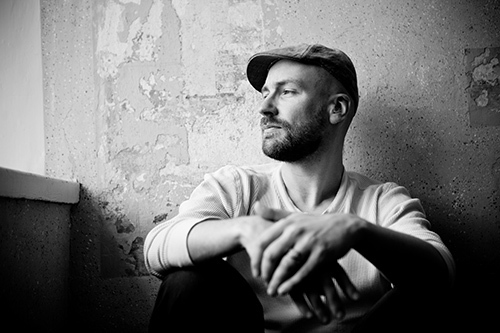 With his unique and expressive style, he is considered one of the most remarkable and fascinating protagonists of the dance scene in Berlin. As his legendary duet with American percussionist Robyn Schulkowsky for the occasion of the 5th anniversary of Radialsystem illustrated, improvisation has remained his great passion. Together with the Cuban choreographer Judith Sánchez Ruíz, Edivaldo Ernesto has developed his project „There is a name for it“, premiering in Brussels in May 2013, as a director, sound designer and dancer. We love his style and expression as well as his winning and pleasant personality and are dead proud to present him in the context of UM:LAUT. We are looking forward to a remarkable event in our little series and an exclusive and special get-together of two exceptional artists brought to you in cooperation with Annette Gentz Music Arts. Tickets for the performances on 17 & 18 August are available now!